The Messenger SAW said, "Use this 'Oud al-Hindi (Costul Hind- Indian Wood Costus) because it contains 7 types of cures, it is sniffed by the one having throat trouble, and is put inside the mouth of one suffering from pleurisy". [Saheeh al-Bukhari (5692)]. The Messenger SAW said, " Cupping (Hijama) and Qust al-Bahri (Costul Bari - Sea Incense Costus) are the best of your remedies". He added, "You should not harm your children by treating tonsillitis by pressing their tonsils, rather use Qust al-Bahri (Sea Incense Costus)". [Saheeh al-Bukhari (5696)]. Sidr is an arabic word which translates into english as 'lote'. This is a blessed tree which has been mention by Allah in the Quran, it is described as a tree of paradise. Every part of this tree is used for good health and medcinal purposes. It was narrated from Asma' bint 'Umays that the Messenger of Allaah entered upon her one day and she had some spurge which she was grinding. He said: "What are you going to make with that?" She said: "We drink it." He said: "If anything were to ward off death or be of benefit against death, it would be senna." Al-Haakim said: This Hadeeth has a Saheeh Isnaad, and Al-Dhahabi agreed with him. Mustadrak Al-Haakim, from the Hadeeth of 'Umar ibn Al-Khattab. Senna is regarded as a gentle stool softener and is not harmful. It works directly on the colon. It is an effective laxative and is a good medicine with no side effects, well balanced and dry. Its beneficial effects include working against depressing thoughts, cracks in the feet, tension in the muscles, the spread of hair, lice, scabies, pustules and itching. If it is cooked in olive oil and drunk, it expels putrid matter. It is also effective against pain in the back and hips. One of the features of senna is that it expels black bile and phlegm and strengthens the heart. It is also useful in the case of chronic headaches and epilepsy; it gets rid of haemorrhoids; it is useful in the case of constipation as a stool softener and laxative. There is hardly any stool softener or laxative in the pharmacy that does not contain senna. There is no doubt that senna is one of the best stool softeners available. Al-Senna Wa'l-Sanoot by Dr. Muhammad 'Ali Al-Baar. A set of 5 seeds super beneficial for health and well being. Eat and enjoy on their own, or sprinkle on cereals, smoothies, salads and gravies. Ideal for those wanting to boost energy levels, reduce fatigue and improve general health and well being. Pure 100% Ajwa Seeds Powder from Madina gives your body the kick-start boost needed in the morning, It is a unique powerhouse of minerals, energy and fiber that may help with heart health, blood pressure and digestion. Bee Pollen is high in many essential nutrients particularly protein, a great energy booster and a natural multi-vitamin inn sha Allah. Dill contains monoterpene which helps to protect the body from the harmful effects of free radicals. One of the most important nutrition benefits of dill leaves is its positive effect on blood sugar levels. Dill contains eugenol, an essential oil which is known to lower blood sugar levels in individuals with diabetes. Dill can be used as an effective remedy for an upset stomach. Chopped dill may be added to low fat unflavored yogurt and consumed. You can also prepare a dill tea and drink to soothe the stomach. Dill leaves help to promote menstrual flow. You can prepare a decoction of fresh dill leaves, combine with a small amount of parsley juice and drink daily. Dill leaves may be used to treat boils. Prepare a paste of fresh dill leaves, add a pinch of turmeric powder and apply to the affected area. This helps to ripen the boils and also encourages healing. Boiling dill leaves in sesame oil and applying to the joints helps to alleviate pain and swelling. Due to its estrogen-like properties, fenugreek has been found to help increase libido and lessen the effect of hot flashes and mood fluctuations that are common symptoms of menopause and PMS. 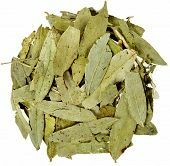 It has also been used to treat arthritis, asthma, bronchitis, improve digestion, maintain a healthy metabolism, increase libido and male potency, cure skin problems (wounds, rashes and boils), treat sore throat, and cure acid reflux. Fenugreek also has a long history of use for the treatment of reproductive disorders, to induce labor, to treat hormonal disorders, to help with breast milk production, and to reduce menstrual pain. Recent studies have shown that Fenugreek helps lower blood glucose and cholestrol levels, and may be an effective treatment for both type 1 and 2 diabetes. It is also being studied for its cardiovascular benefits.